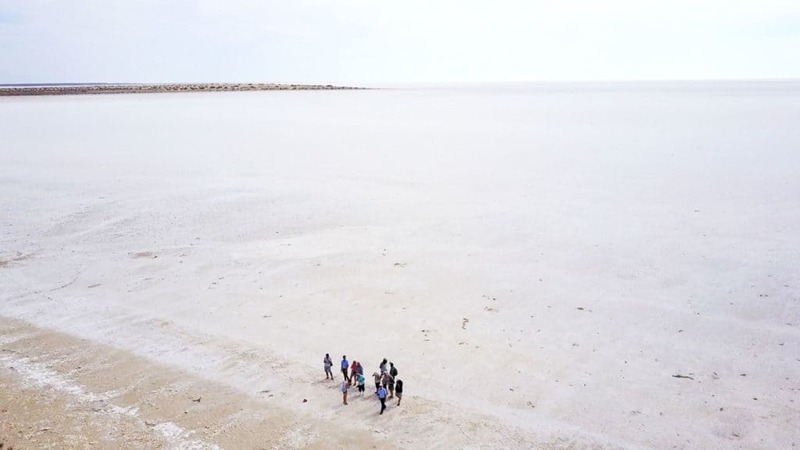 Lake Eyre, officially known as Kati Thanda–Lake Eyre, features the lowest natural point in Australia — approximately 15 m below sea level. On the rare occasions that it fills, it is the largest salt lake in Australia and the world’s 13th largest lake. 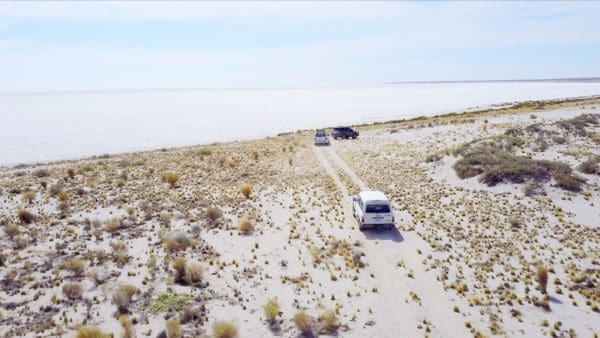 Located in northern South Australia, its drainage basin of 1,140,000 square km covers 15% of the continent, extending into the south-east of the Northern Territory and south-west and central Queensland. Lake Eyre North has the lowest point at 15.2 metres below sea level, and Lake Eyre South a maximum depth of 3.7 metres. The two lakes are joined by the 15 km long Goyder Channel. Both lakes have a combined area of 9690 square km. The Lake Eyre Yacht Club has some more great information. The lake has been an important site for Aboriginal people for several thousand years, and they consider the lake an important cultural place, and are involved in its management today. 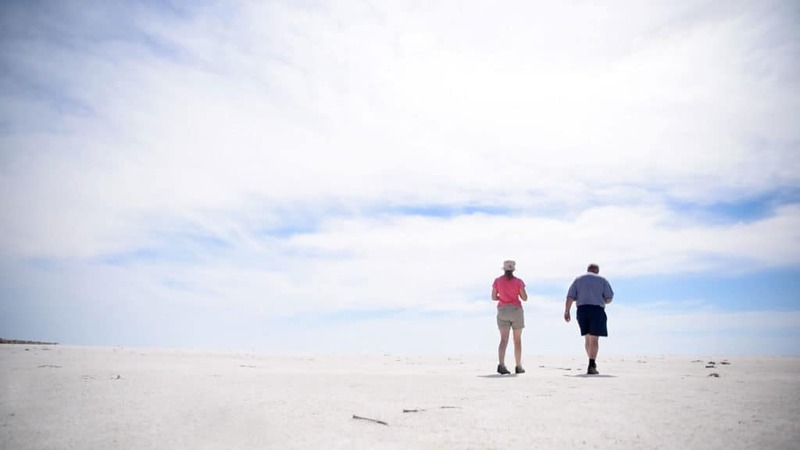 In 1967, Elliot Price of Muloorina Station donated the Elliot Price Conservation Area (which is inaccessible to the public), and in 1985, the Lake Eyre National Park was established. 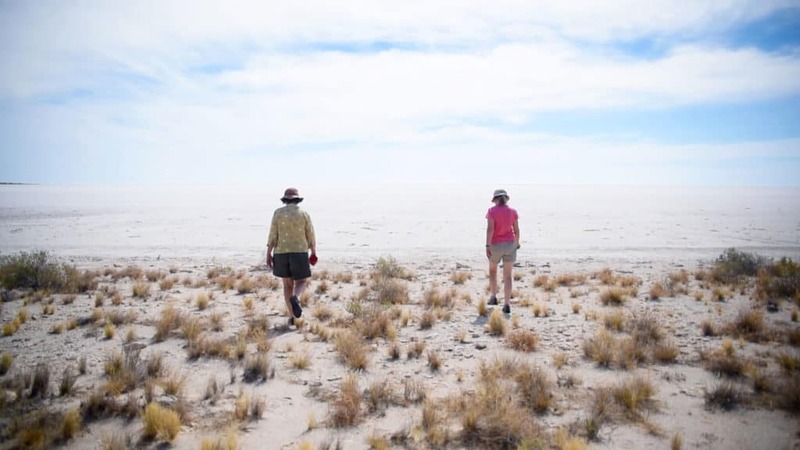 Kirkhope Aviation’s ‘Taste of the Outback’ air tours include tours to Lake Eyre from Muloorina Station. Thanks you so much for a wonderful few days away. So many positives; sights, activities, people, food and planning were all fantastic. Well be back! Peter was much refreshed after his return. He hasn't stopped telling folks about the trip.